An impressive cup that’s brimming with sweet cheer. Our ever-popular Sistema mug is a modern marvel: ergonomic, microwave- and dishwasher-safe, perfect for reheating soups or for melting ingredients for fun fondue dipping. 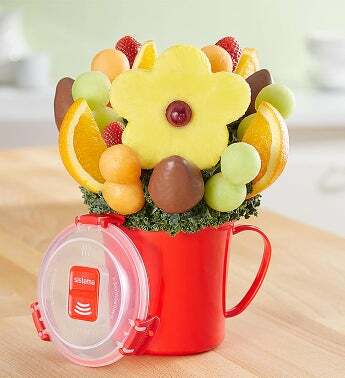 And what makes this Sistema mug extra special is the fresh fruit arrangement that arrives in it. 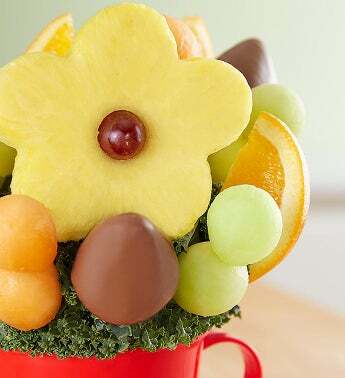 It’s a fruit-filled, fantastic mug that’s sure to put a smile on theirs!